If your personal taste desires a mixture of different materials for your wine cellar, Papro Wine Cellars & Consulting has just the wine racking system for you. Papro Wine Cellars & Consulting is proud to offer clients the Millesime wine racking system www.millesimewineracks.com This unique combination of wood and metal wine racking combines stylistic sensibilities from both traditional and modern design. With a distinguished appearance and strong functional benefits, the Millesime wine racking system has never been more appealing as a respected wine storage solution. While wood is traditionally viewed as a more classical and conventional material for wine racking and metal introduces a sleek and modern alternative, the combination of the two create an aesthetically impressive method for wine storage. The use of metal with wood gives the Millesime wine racking system a modern flair while enabling a larger bottle capacity in a smaller space than traditional wooden wine racks would allow. The Millesime system also allows for good bottle exposure—making your wine collection easy to access, display and organize. 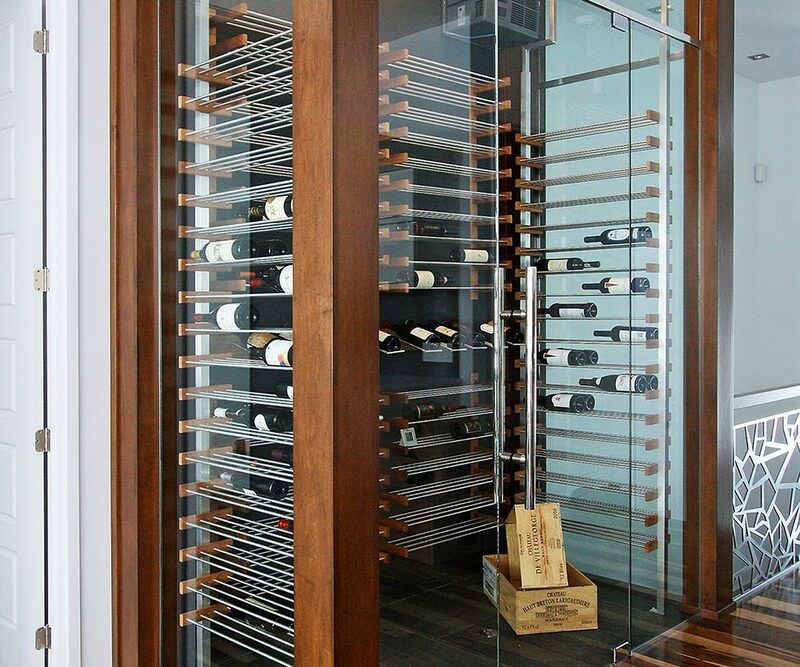 By using only premium woods such as mahogany and walnut, combined with anodized aluminum rods and brackets, the Millesime wine racking system is like no other wine racking you have ever seen! Papro Wine Cellars & Consulting is delighted to offer clients this beautiful system that is contemporary with a retro twist.